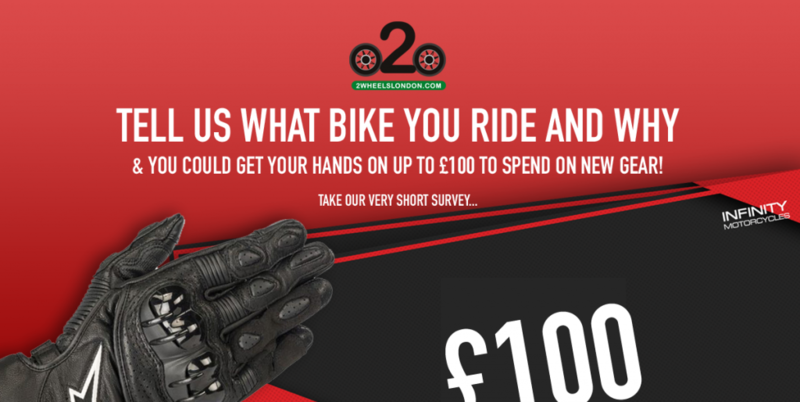 Riders across London have the chance to win a share of £200 of motorcycle vouchers by answering two simple questions about their riding habits. The 2Wheels London autumn competition asks riders ‘what type of bike or scooter do you ride?’ – followed by the reason for use. Both questions are multiple choice. The competition is the latest in a series designed to help 2Wheels London build a picture of motorcycling in the Capital. The summer competition asked riders ‘what would be your safety tip for riding a motorbike or scooter in London?’ – with the majority choosing ‘wear protective clothing in all weather’. Everyone who enters will qualify for a prize draw to win up to £100 in vouchers for Infinity Motorcycles. Three London-based winners will be picked from random, with each receiving a voucher to the value of either £100, £75 or £25. The competition closes on 30 November and the winners will be announced at the start of December.